Did you know that Gili Islands are actually classed as a Marine Protected Area? 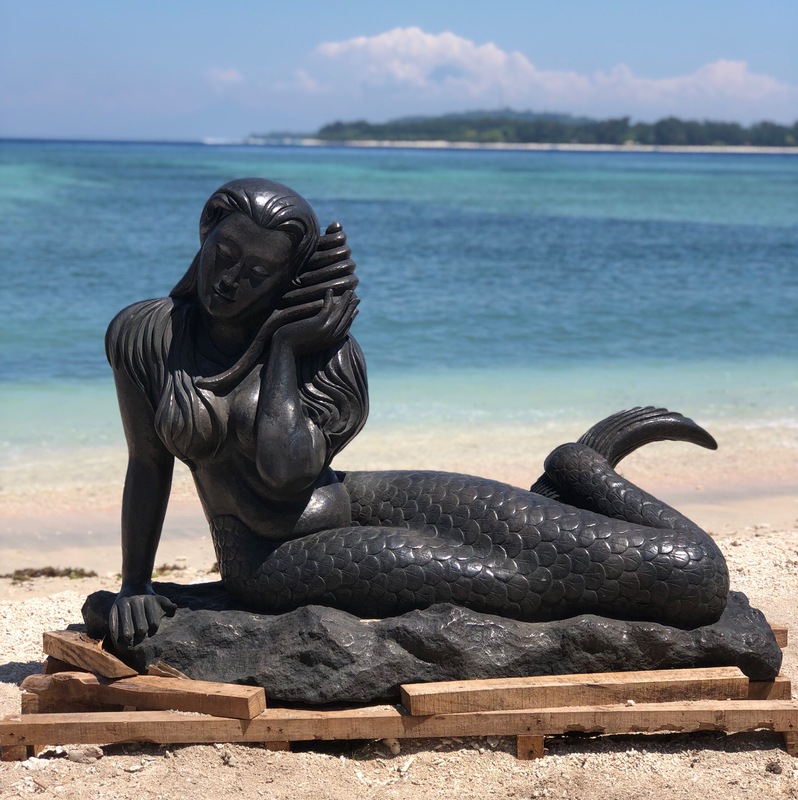 Not many people are aware that the Gili Islands are actually classed as a Marine Protected Area called the Gili Matra Marine Park. 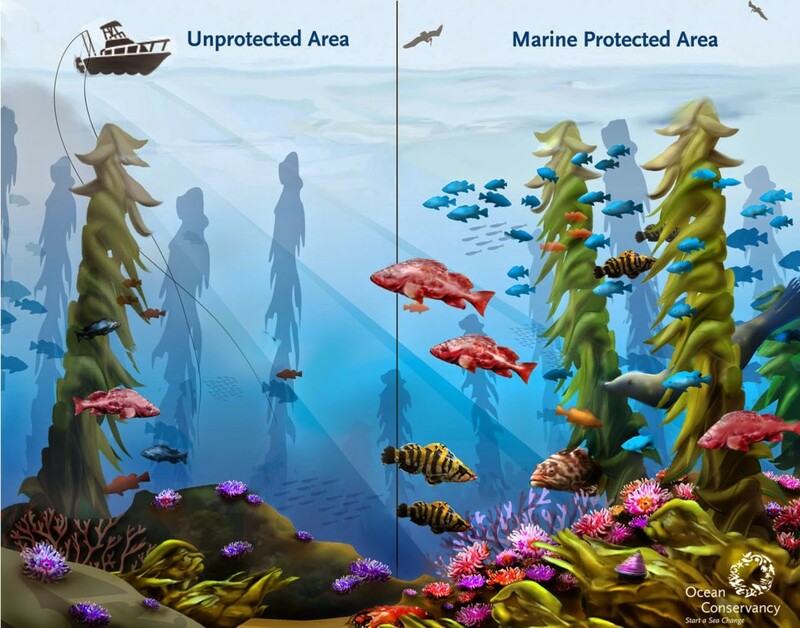 Marine protected areas, commonly known as MPAs, are protected areas of oceans that restrict human activity and presence to promote conservation and growth of biodiversity of life in a designated area. MPAs can be implemented for economic reasons, to promote conservation and to protect species. There are several different types of restrictions that can be put in place including: fully protected marine areas, no-take fishing zones, and ocean sanctuaries. MPAs restrict human activities including scuba diving, fishing, and boat presence in the area to allow for restoration of a particular ecosystem community in dire need of help. Today, only 3.7% of the world’s oceans are protected under law, and many of these protected areas are poorly managed, while only 2.0% of the ocean is strongly protected in no-take marine reserves. Many countries are now trying to reach a goal of having 10% of their oceans being protected by the year 2020. Marine protected areas have many proven benefits to both the ecosystem and to the surrounding communities. MPAs act to maintain biodiversity for both endangered and commercial species, as the removal of human presence allows for many different species to thrive without anthropogenic influence. They also protect certain habitats from being damaged from destructive fishing gear such as dredging and trawling, and allow for these habitats to recover from previous destructive fishing practices as well. MPAs that ban all fishing, allow for fish in this area to be able to spawn, reproduce and grow to a sexually mature adult and results in many more and much larger fish sizes than in fished areas. This increase in number of fish causes the ‘spillover effect’ in which there are so many fish in one area that they migrate to another area non-protected area looking for more resources. Creating strongly protected MPAs gives ecosystems a chance to become more resilient to external impacts including rising sea surface temperatures of the ocean. Marine protected areas not only impact the ecosystem but also benefit the local economies and livelihoods that are dependent on the marine environment. By implementing MPAs, it increases the biodiversity and abundance of life below the surface which results in higher ecotourism value including scuba diving and snorkeling. In Australia, the Great Barrier Reef is estimating to contribute $1.4 billion per year to the Australian economy. MPAs also benefit fisherman, as due to the spillover effect there are higher abundances and larger lengths of fish to catch sustainable. Along with the spillover effect, it can protect specific life stages of species, for example, by protecting the nursery grounds of a species as well as feeding and spawning grounds. The implementation of MPAs also allows for experienced scientists to conduct research on plants and animals that are not affected by human impact. MPAs have significant impacts on the biological aspect of ecosystems as well as on the economies and livelihoods of those who are dependent on the ocean. MPAs have been shown to have many beneficial impacts and should be implemented much more in important ocean areas throughout the world. 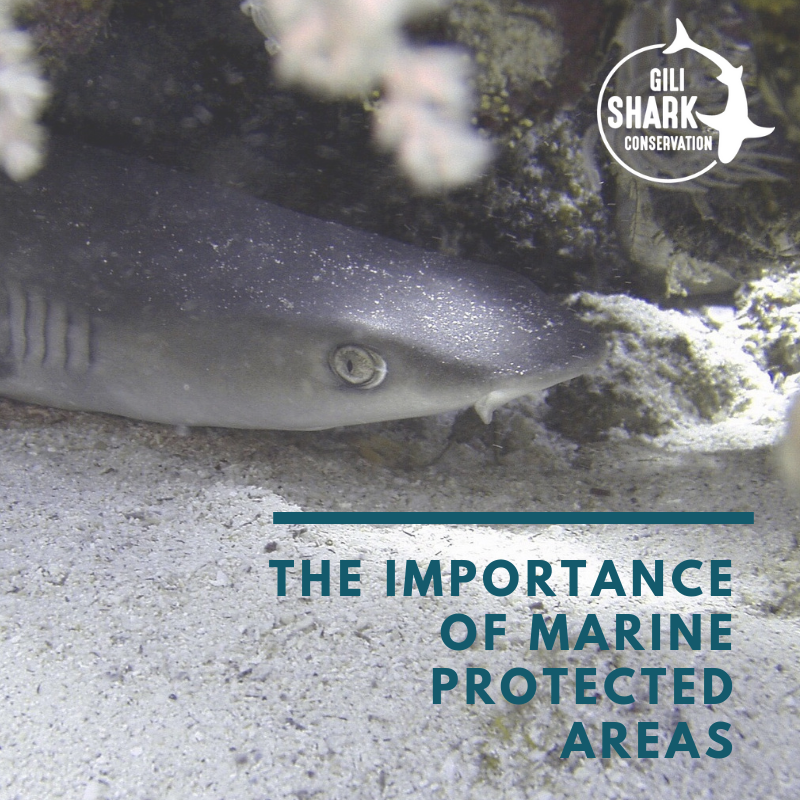 What do we to protect the MPA around the Gilis? With the abundance data we collect we want to proof that the reefs surrounding the Gili Islands in Indonesia are a shark nursery area. In 2019 the government will review the Gili Matra Marine Park and we would love to see that they will create the first official shark nursery around the Gili Islands. Would you like to help us to make the difference? We are always looking for enthusiastic people that want to work and live with us in paradise. Apply here for a spot in our research team!